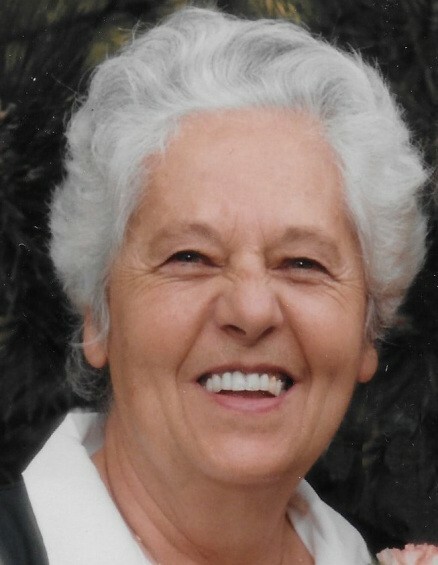 Helen Joyce Miles Ludwig, age 89 passed away peacefully on the 1st of February 2019 in South Jordan, Utah. Joyce was born in Tooele, Utah, to Henry Lee and Mary Morris Miles. She grew up in Tooele and graduated from Tooele High School. She married John Robert Ludwig August 17th, 1949 in the Salt Lake Temple. Education was very important to Joyce. She loved learning though out her life, and as a Title 1 aide at Harris Elementary she helped many children achieve their potential. She was a member of The Church of Jesus Christ of Latter-day Saints, and served in many callings, one of her favorites was serving in the Stake Relief Society Presidency. Joyce loved to spend time with her family and often would have them laughing with her dry humor, she also loved working in her flower gardens. Joyce and John were the proud parents of Robert, Celia (Jerry) Bryan, Gerald (Joan), Kevin (Saundra), Valorie (Ken) Hind, and Ray (Karen). She is survived by her children, 27 grandchildren, 79 great-grandchildren and her sister; Flora Duncan. She is preceded in death by her parents, husband, and brothers; George and Morris and sister; Ruth. Visitation will be held at Tate Mortuary, 110 South Main Street, Tooele, Utah on Friday, February 8, 2019 from 6-8pm. Funeral will be held at the Tooele Stake Center, 235 South 200 East, Tooele, Utah on Saturday, February 9, 2019 at 12:00pm with a prior visitation from 11- 11:45am. Interment will be in the Tooele City Cemetery. The family would like to thank Bristol Hospice for the wonderful care they provided to Joyce.